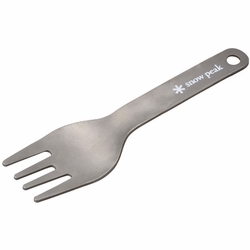 Snow Peak Titanium Mini Fork. This Mini Fork is a versatile utensil to take with you everywhere. Super light and constructed of solid titanium for a long life of enjoyment.